Home » TV » The Flash Season 4: What Will Gypsy’s Return Mean for Her and Cisco Ramon? 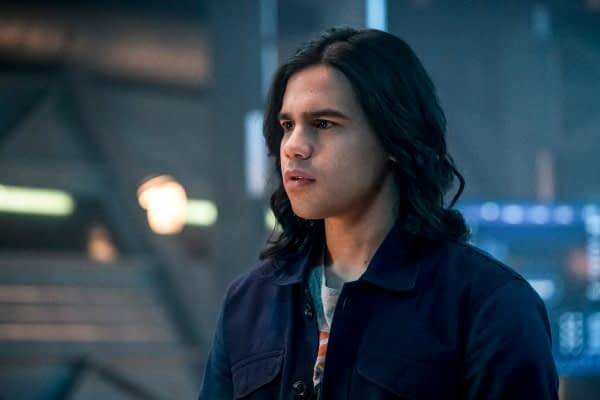 With all that happened on this past episode of The Flash, it was easy to forget what happened the week before and the question that Cisco Ramon (Carlos Valdes) had to think over. I would imagine that things are even more difficult for him after what happened Tuesday night, but the question is out there lingering. Spoilers ahead. The question, of course, was Breacher (Danny Trejo) retiring and offering Cisco his job. It would give him the opportunity to work and see Gypsy (Jessica Comacho) more. But after losing Ralph (Hartley Sawyer), having Caitlin (Danielle Panabaker) depowered and possibly frying Wells’s (Tom Cavanagh) brain, I can’t imagine Cisco leaving the team at this moment. But Cisco really likes Gypsy, and that can’t be overlooked. Cisco, I think inside, doesn’t want to take the job because he doesn’t want to let down the team. But on Gypsy’s end, she doesn’t want Cisco to take the job because she fears that being in closer contact might spoil the beauty of what they have. We won’t know what he decides for a while, but things in their relationship will be moving soon.